Skillsoft is the innovative leader in eLearning, online training and talent solutions for an enterprise organization’s most valuable resource, its people. Our 165,000+ courses, videos and books are accessed more than 130 million times every month, in 160 countries and 29 languages. With 100% cloud access, anytime, anywhere. 2,500+ online course collection includes the most engaging courses for your employees's professional development. These courses are highly-curated from Udemy.com, a global marketplace powered by over 24 million students, 35,000 instructors, and 80,000 courses. Mind Tools Corporate offers a catalog of proven management and leadership learning resources, tested and approved by millions. GO1 Premium is a subscription service that makes staff training easier and more cost effective by providing full access to thousands of the most popular off-the-shelf courses curated from over 400,000 courses in the GO1.com Marketplace. eLearning Brothers offers annual subscription packages that include eLearning templates for Storyline, Captivate, Lectora, PowerPoint, eLearning cutout characters, and more stock assets than you could possibly imagine. Alchemy courses use gamification, quizzes, group competitions, and remediation loops that are proven to increase knowledge and retention. Gain access to 40+ years of curated content in a cloud-based learning environment that doesn't obligate special IT requirements, pricey budgets or complicated timelines. * We monitor all Litmos Heroes reviews to prevent fraudulent reviews and keep review quality high. We do not post reviews by company employees or direct competitors. Validated reviews require the user to submit a screenshot of the product containing their user ID, in order to verify a user is an actual user of the product. Hi there! 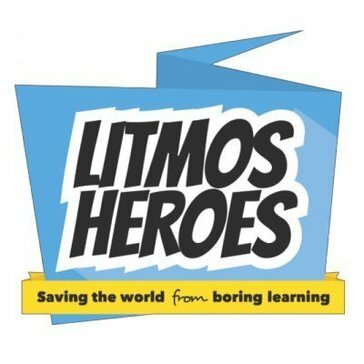 Are you looking to implement a solution like Litmos Heroes?